The CTSRC was established by CTDOT in 2012. 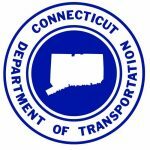 The mission of the CTSRC is to support CTDOT in developing and maintaining a state-of-the-art crash data entry, collection, and safety analysis system. The goals of the Center include 1) development of efficient tools for the collection and analysis of crash data 2) tracking, documenting and researching safety improvements and needs in the state 3) researching and developing outreach programs to target Connecticut specific/identified safety concerns 4) developing custom training and early intervention programs to assist law enforcement in collecting uniform, timely and complete crash data, and 5) conducting transportation safety research that has state, national and global implications and applications.